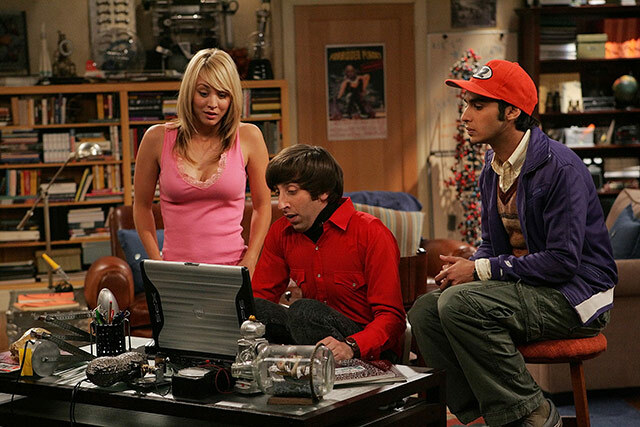 Channel Nine will premiere new CBS sitcom The Big Bang Theory on Monday December 3 at 7:30pm. The show follows two socially inept prodigies in their 20s who are living across the hall from a beautiful girl with a questionable intellect. While one genius falls for her, the other tries to discourage his interest because he believes his friend is chasing a dream he’ll never catch. It stars Johnny Galecki, Jim Parsons and Kaley Cuoco and is directed by the legendary James Burrowes. The show premiered in September and has been given a full 22 episode series. But due to the Writer’s Strike production has halted, making Nine’s launch all the more bolder. It will be followed by the return of The New Adventures of Christine. At 9:30pm there are new eps of The Closer. And the medical special Mystery Diagnosis premieres 8:30pm Thursday Dec 6th. I hear yes, but not official yet. is the brilliant and disturbing nip/tuck returning to 9’s schedule? I love The Big Bang Theory. It is hilarious. And I love Kaley Cuoco. She is one of the hottest, funniest, curviest girls on TV. where’s nip/tuck going to go is closer is on at 9.30pm? I’m so excited that the Big Bang Theory’s being shown! Finally a quality sit-com. Does anyone else find Kaley Cuoco really annoying? I can’t tolerate her, really, and it impacts me watching this show. Shall we start the bets now on how long until Nine cancels all the above? TBBT along with Chuck are 2 great sit-down, chill-out and relax shows… simple premises, well-executed and fun.